We recover broken down vehicles from the Motorway. We have the latest safety equipment and can even help if you have flat battery with our heavy duty booster pack. We will recovery broken down or accident damaged vehicles as long as they will roll on all wheels. We have the equipment to recover vehicles that have left the road and cannot be moved. We will transport any type of car all over the UK. Whether it is historic, classic or modern. We have the equipment to ensure your vehicle arrives at it's destination safely. At Leicester Car Recovery we operate throughout the night - 24 hours - 7 Days a Week. Dealing with a car breakdown at night can be quite daunting. We recommend that you do not try and change wheels in dark environments. This could lead to personal injury or even worse. Whether you are down a country lane or on the motorway we can get you back to safety in no time. We operate a 24 hour breakdown service all over the UK. We have all of the latest safety lighting to make recoveries safe for all parties involved. Google reviews help new customers get an insight on how our business operates by reviews that existing customers leave. 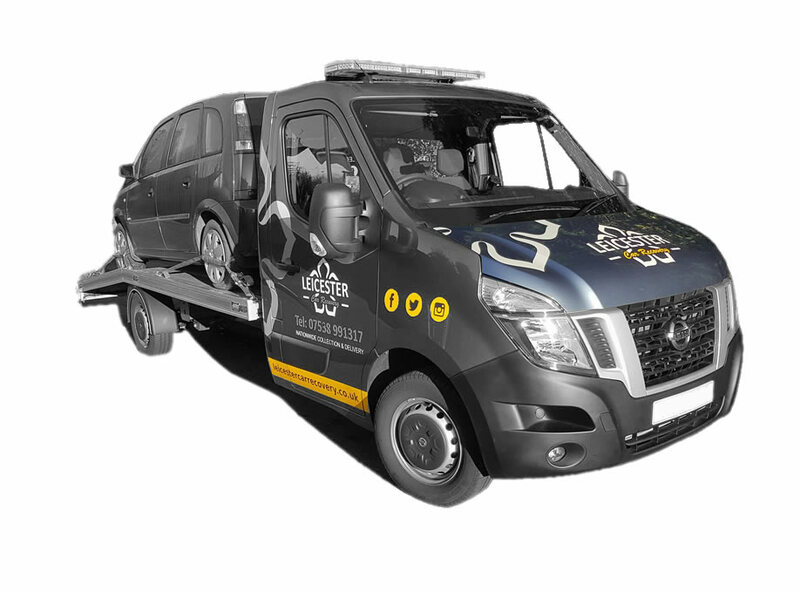 If you have previously used Leicester Car Recovery, please leave a review and add to our good reputation. This common mistake can happen to any of us. Filling up with petrol in a diesel engine or vice versa can cause expensive damage to your engine. These costs can be minimalised by not running the engine. If you have made this error call us straight away and we will recover your vehicle without the need of starting the engine. We are now accepting credit & debit cards at the roadside. Many of us don't carry cash anymore and you now have peace of mind that we can make the car recovery and get you home without the added stress of finding physical cash. From time to time we like to have a bit of nonsense fun and put on a few quizzes. Please feel free to try our Petrol Head Quiz.